If you want to get rid of a tattoo, read this. As a tattoo artist, and as someone who’s had to remove a few unsightly tatoos, I can tell you that, unfortunately, it’s going to hurt. And it’s going to cost money. In the past, people had to rely on some not-very-efficient methods of tattoo removal. Dermabrasion, or “scrubbing”, was once the most common method of tattoo removal. Sadly, dermabrasion does not penetrate the skin deeply enough to remove a tattoo; unless it’s done improperly, the tattoo will only fade slightly. Effective dermabrasion leaves behind welts and large keloid scars. These are caused by the chemical burn to the underlayers of the skin, and can’t be removed or fixed. Unsightly scars are the most common outcome of dermabrasion. Others have tried tattooing the area with hydrogen peroxide, or some other concoction. This usually has no effect on a previously existing tattoo. In theory, it should work. But in reality, the tattoo ink sits beneath the shedding layer of the skin. Reaching it in order to remove it takes more than just causing a fresh wound on the surface. These methods are about as effective as covering a tattoo up with water-in other words, it doesn’t work at all. Unscrupulous people often try to sell “tattoo removal” kits which include chemicals, or patches imperganted with chemicals, to be applied over the area that is tattooed. Basically, these are simply methods for achieving a large chemical burn, and the massive wounding may ytemporarily hide the tattoo. Once it heals, though, you’re left with not only a bad tattoo you don’t want, but one which has scars all over the surface. The only real option for completely removing a tattoo is the laser. These have been around for quite some time, but only within the last decade or so have they been used to remove tattoos. The process is pretty painful; it feels like a hot rubber band being twanged against the skin repeatedly. However, most facilities use some kind of anaesthetic ointment before and during the process. Laser tattoo removal can take time. To completely remove a tattoo, multiple sessions are required. 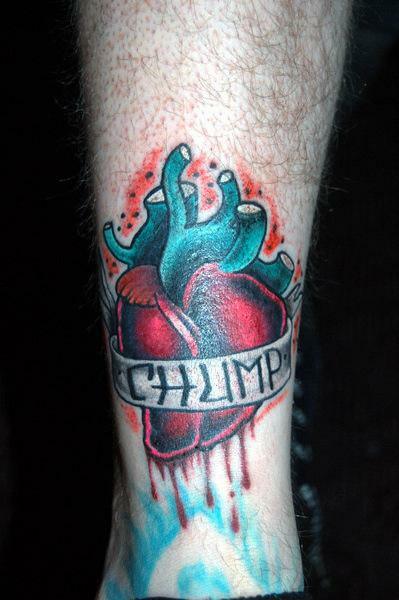 Professionally-applied and brightly-colored inks are harder to remove than grey or faded amateur tattoos. This is because the ink used professionally is denser and of higher quality. After just one session, you should see some fading. After a few, the tattoo may be almost unnoticeable. Laser treatment has become less expensive and more accessible in general in the last few years. A half hour session now may only cost about the price of the tattoo. Multiple sessions to completely remove a tattoo can become pricey after a while, but for some people it’s worth it. Many laser removal specialists will also work with your tattoo artist to lighten specific areas of a tattoo in order to make a cover-up tattoo more easily accomplished. Lightening an old tattoo in order to cover it more effectively is definitely an option for those who like having tattoos, but dislike a specific design they’ve gotten. In short, don’t trust those who would sell you a shortcut for tattoo removal. The laser removal treatments are the only non-scarring choice for real tattooo removal. There are no shortcuts when it comes to your skin.